Afghanistan Today, the GWOT Hotspot-7-31-10-Sat. Reports in the news say that July 2010 is the most deadly for American troops in Afghanistan, the second most deadly was last month. Stories of our wounded, and our wounded British allies are coming out in the press, see link #1 and CNN has been advertising a show about our wounded American troops, showing a plane load of the injured being flown out. It should be a show everyone should watch, to see the carnage of this war. God bless American troops, and may they win this war soon and come home in victory. Afghanistan Today, the GWOT Hot Spot-7-30-10-Fri. The month of July is ending on a bad note for U.S. troops, as the radio news just reported more American deaths in Afghanistan, stating that this is the deadliest month in the nine-year old war, surpassing last month, which had the previous high for U.S. military deaths. God bless our troops, and may they be led to victory so they can come home soon. Afghanistan Today, the GWOT Hot Spot 7-29-10-Thurs. This first post does not have to do with Afghanistan, but is about another controversial war, that in Vietnam. Some compare the situation in Afghanistan to Vietnam. In fact, some say that our current strategy in Afghanistan should be called, “The Vietnam Plan for Afghanistan”. In link #1, a Vietnam War widow sends a letter to Sen. Jim Webb, himself a Vietnam War vet, concerning her husband’s death like a “poisoned rat” from the effects of Agent Orange. Afghanistan Today, the GWOT Hotspot: 7-28-10-Wed. While the Wikileaks data still is coming out on Afghanistan, the US Congress voted to fund the war. Or, that might be fund the “wars” (undeclared) in Afghanistan and Iraq I believe. The sacrifice of our vets is shown by former Marine, Daniel Gilyeat, Kansas 3rd District Congressional Candidate in the Republican Primary. 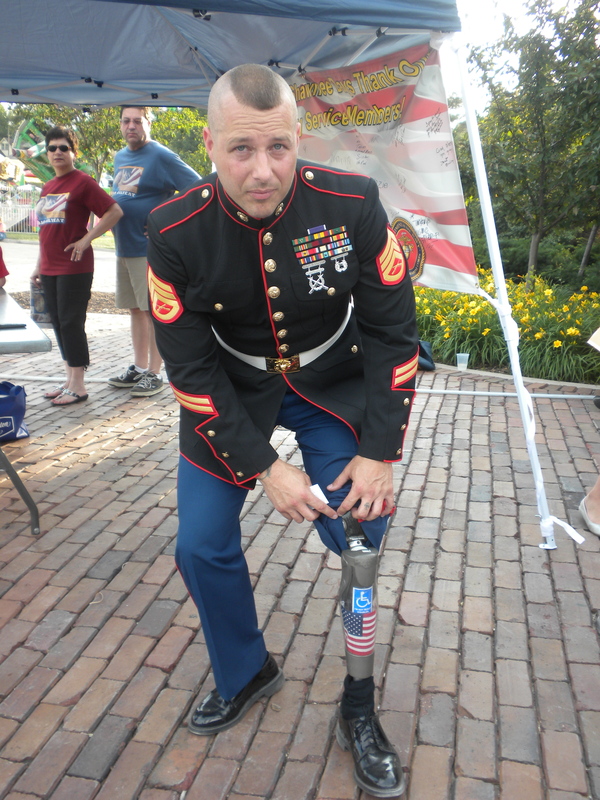 Gilyeat lost his leg in combat in Iraq in Operation Iraqi Freedom. This U.S. Marine wants a new mission in the U.S. Congress! God bless our Marines coming back from the war and being willing to run for elected office! Afghanistan is in all the news now with the Wilileak story and all. Google Wilileak to get the link and look at the documents. The NY Times and two other publications are reviewing the documents which were sent to them and writing stories, again, Google their sites and see the links. Gold Star father, whose son was KIA in Afghanistan last year, gives an interview posted on You Tube on restricted rules of engagement and other information about our engagement in Afghanistan. Link below at #1. 1.) Retired Marine John Bernard gives his take on the Afghanistan war and restricted rules of engagement: turn up your speakers or put on headphones and listen to both part 1 and part 2. LET THEM FIGHT OR BRING THEM HOME! Semper Fi Marines! 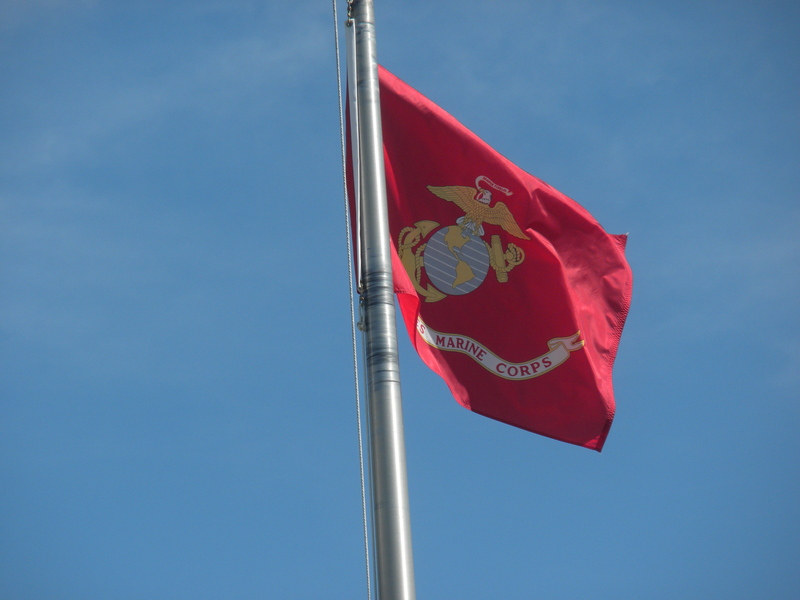 The U.S. Marine flag flies proudly. I agree with the website of the same name-John Bernard's blog: Let them fight or bring them home! 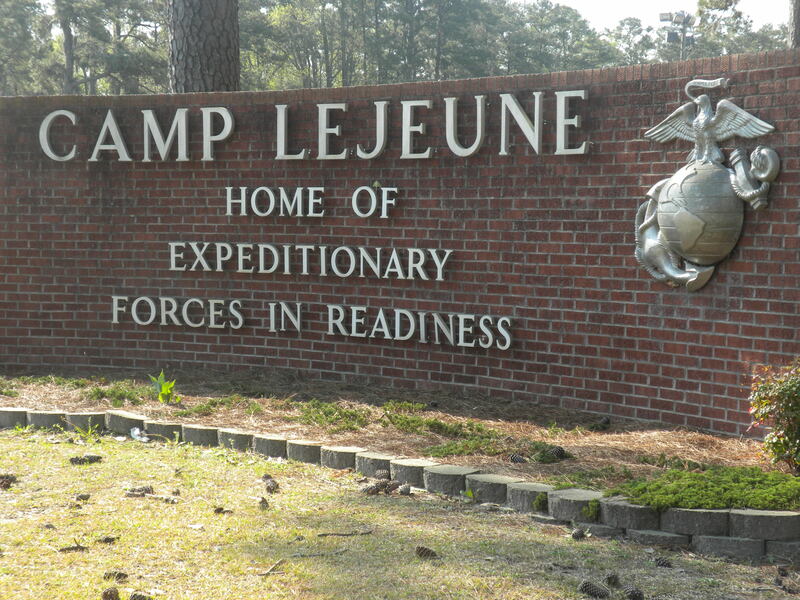 Camp Lejeune sign upon entering base-read what it says, especially in light of the Marines being used as a land occupation force in Iraq and Afghanistan and bound by restricted rules of engagement. Afghanistan Today, the GWOT Hotspot, 7-26-10 Mon. Wikileaks has published thousands of documents related to the Afghanistan war effort. Do a Google search on Wikileaks for the link to their information. The New York Times also received some of the documents as I understand it, from Wikilinks and some foreign newspapers have received the information also. The link to the NY Times reporting on “The War Logs” is at #1. Afghanistan Today, the GWOT Hotspot, 7-25-10-Sun. More trouble for Americans in Afghanistan as leading news stations on TV this morning report that two Navy sailors are kidnapped there. There is talk of bringing the Taliban into the Afghan government. If that is the case they should have the murderers of US troops, and those who attempt to kill US troops arrested so they are not part of the government. This would be kind of like how Nazis were not allowed into the German government after WWII, and they are hunted down to this day. 1.) U.S. Military deaths: I suggest faxing or e-mailing this to your elected officials. Some gave all, God bless our troops and their families, and may God comfort the families and friends of the fallen. 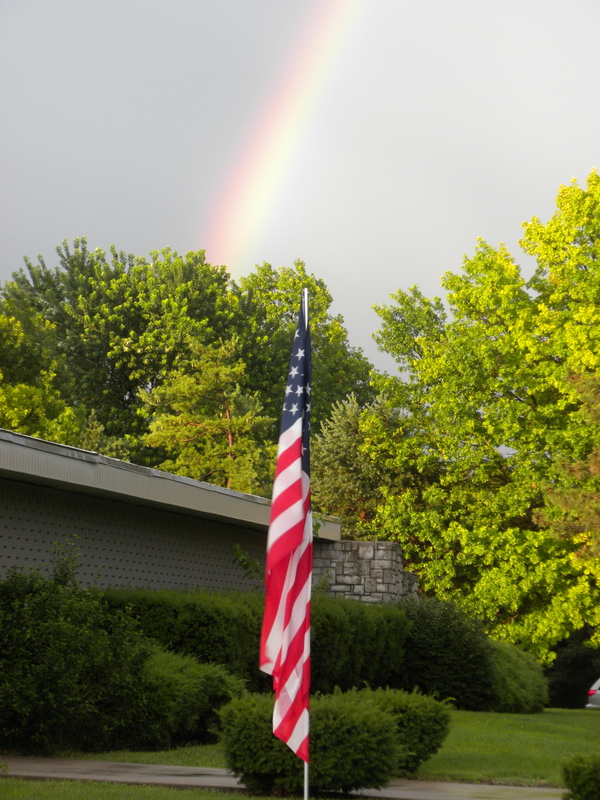 Rainbow above American flag in Overland Park, KS outside American Legion building. American troops are dying in Iraq and Afghanistan and the link to the Kansas City Star Sunday paper, 7-25-10 list of American military deaths is listed below. God bless our troops and may those who have fallen Rest in Peace. RIP to our fallen. 2.) Admiral Mullen says that he does not have all the details into the kidnapping of two US sailors in Afghanistan. If Admiral Mullen does not have all the details, how can he advise Commander-in-Chief Obama then? Why doesn’t he have all the details? I understand there being secret missions which cannot be discussed, but that is different from Mullen emphasizing to the press that he does not have all the details. I hope he gets all the details SOON so he can advise the Commander-in-Chief. Will the sailors receive Geneva Convention rights if they were out of uniform as reported? 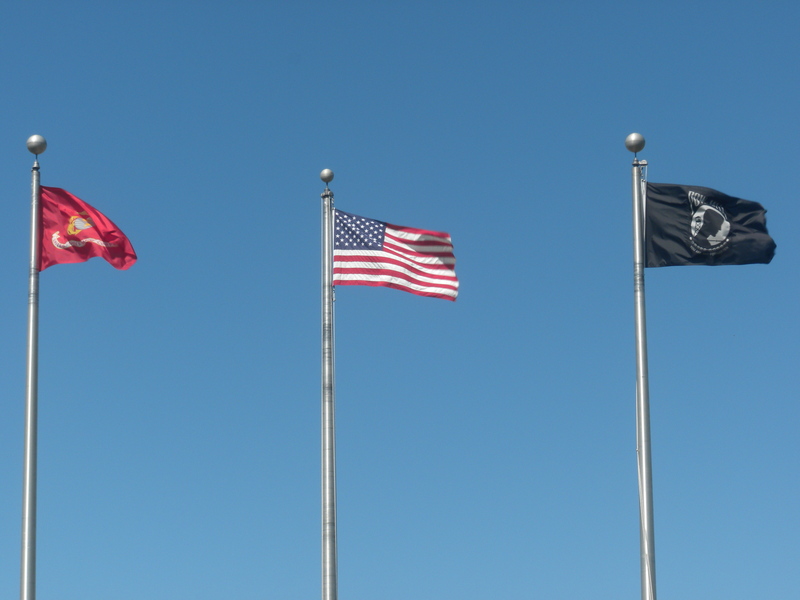 L to R: Marine, U.S., and POW/MIA flag; pray for our 2 MIA/POW Navy sailors in Afghanistan; contact your elected officials to ensure they receive their Geneva Convention rights they are entitled to.